The Weistec Mercedes-Benz SLR McLaren is unleashed on the road. Weistec Engineering never ceases to amaze us with their works involving the powerful cars of the three-pointed star marque. 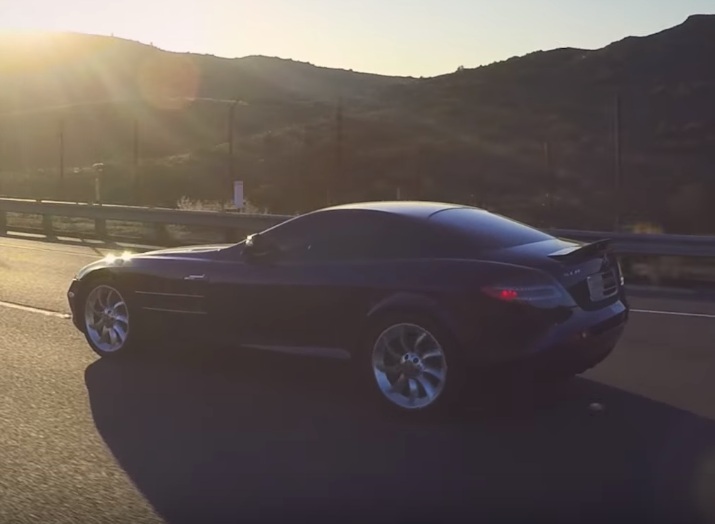 A few days ago, the tuner released a video through its YouTube channel showing us what its tuned Mercedes-Benz SLR McLaren can do on the road. According to the description of the video, it took two years for the engineers of Weistec to develop the world’s most powerful SLR to date. Inside the car rests a stock V8 engine, but with the tinkering of the tuner, the power of the auto is raised to a whopping 922 hp and 810 lb-ft of torque. The goal of Weistec is to make a consistent and usable power without sacrificing the innate potentials of the SLR. They replaced the supercharger of the car with a massive water to air intercooler to complement the stock intercoolers of the auto in order to maximize its cooling and power. In creating the Weistec SLR biturbo system, the tuner only made use of high quality materials like inconel steel, stainless steel, aircraft aluminum, plus ball bearing turbochargers with billet compressor wheels. Lastly, the SLR was filled up with race gas to reach its optimum performance on the road.